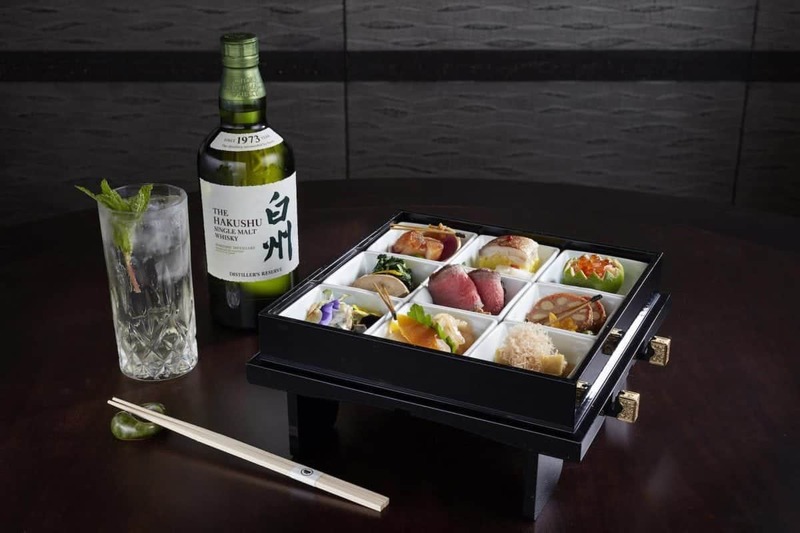 Tying in with the annual London Restaurant Festival, Japanese restaurant Tokimeite will partner with Suntory Japanese whisky to host a one-off event on 27th October. Set to showcase the very best of Japanese food and drink, the restaurant will offer a sixteen-course ‘Kaiseki’ menu, specially prepared by one of Japan’s most highly acclaimed chefs – Yoshihiro Murata. What’s more, the menu will be paired with a range of specially selected Beam Suntory whiskies, chosen by brand ambassador Mike Miyamoto to complement each dish. With a total of seven Michelin stars held across his three restaurants in Kyoto and Tokyo, Yoshihiro Murata’s menu will include a selection of assorted starters, followed by a sashimi selection and opulent dishes such as grilled Scottish lobster with truffle merengue, and grilled Wagyu sirloin wrapped with fig leaves and served with fig and onion. As for the whiskies, expect the likes of Hakushu Distiller’s Reserve and Hakushu 12 Years Old from Suntory’s mountain forest distillery in Hakashu, served alongside the assortment of starters and sashimi, respectively. Elsewhere, Hibiki 17 Years Old has been selected for its complex and profound taste profile to pair with the delicateness of Japanese Wagyu beef, and the full-bodied Yamazaki 18 Year Old from Japan’s oldest malt distillery will accompany the mildness of the Hoji-cha ice cream dessert. Tickets for the London Restaurant Festival tasting menu and whisky pairings are priced at £229 and are available from ticketmaster.co.uk. The full menu for the evening can be found below.